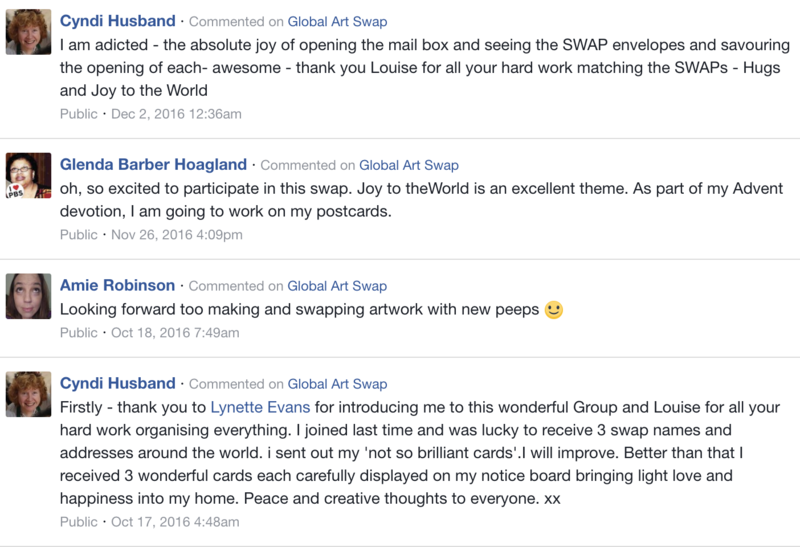 SIGN UP TO THE MAILING LIST HERE to get notification of all Art Swap news. Your heART really does make a difference and receiving a gorgeous postcard through the mail makes even more of a difference to each and every person in our creative community who join the swap. heART exchange is a global art swap to create, share & receive LOVE in the form of gorgeous pieces of postcard sized artworks. Each person who joins the swap is given 3 people to send their creations to and the only rule, is that you create with your heart open and include a positive note for the recipients on the back of your postcard or as a little love note inside. 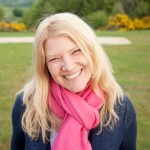 The exchange is hosted by Louise Gale and was started in 2011. 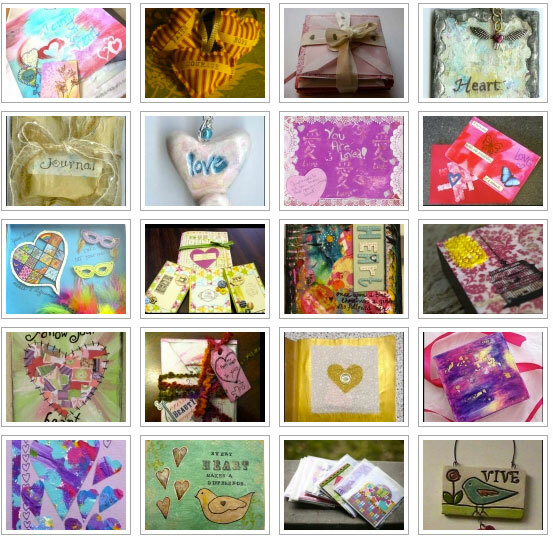 “Giving and receiving is the constant flow of energy for our heart and what better way than to create, send and receive something beautiful and hand-made through your letter box. 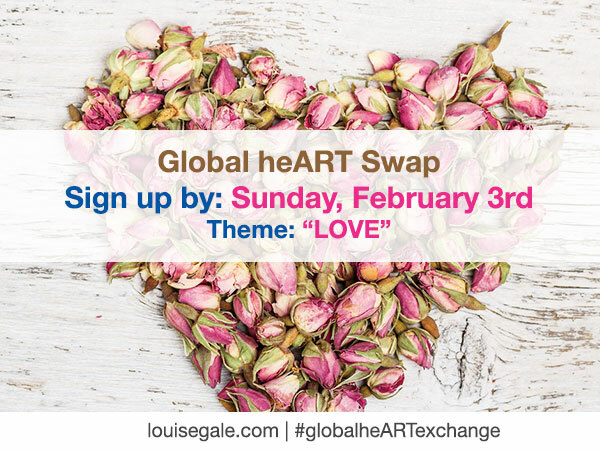 I would love to inspire you to live and create from the heart everyday, so it is so wonderful to host and take part in this global art swap”. My postcards from a previous swap. Watch the video below where I show you the process of making these. 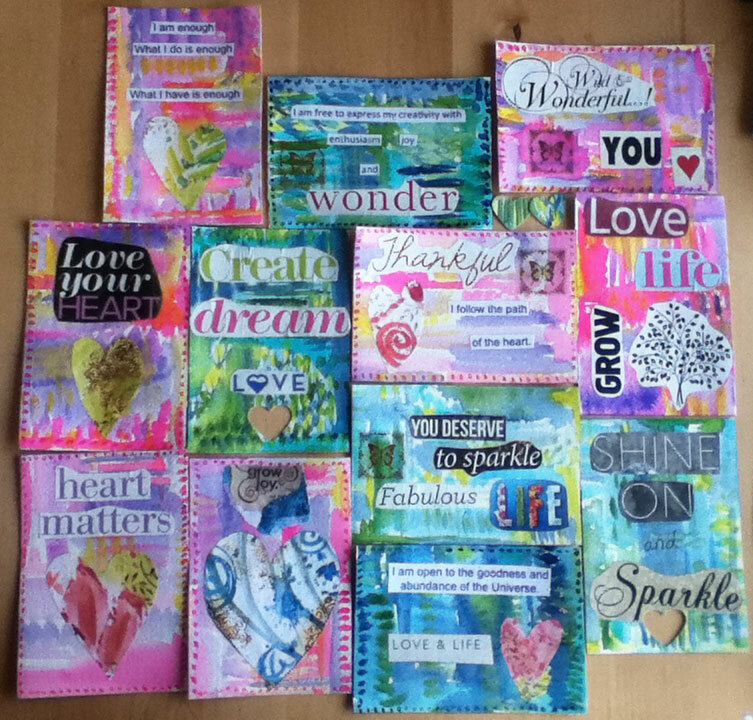 All you will need to do is create something from the heart in the form of a collage, drawing or tiny postcard of art – you can use images and words from a magazine or paint your own. Use a favorite quote about the theme or your own interpretation. We are going to send out lots of heart energy around the world. This theme can be interpreted however you feel. You can use any materials you like, paint, draw, collage and sew – its totally up to you – whatever speaks to you from your heart. Register by sending Louise an email here or via info(AT)louisegale(DOT)com by Sunday February 3rd, 2019. (remember to add your mailing address as this is the way to enter into the swap). **Please note: I will email you a confirmation within 3 days to confirm you are definitely in the current swap. Share the information with friends, family and anyone you think would love to be involved. Louise will send you information for THREE lovely people in our group by Monday February 4th, 2019. Then we will publish a showcase and also updates as new creations get posted. We may also feature your artwork in a future post. SO EXCITED to take part in this with you all. PLEASE NOTE: By sending me your mailing address and email, you are giving me permission to share this information with just 3 people within our group chosen at random. your details will not be shared with anyone else and only your swap partners.